The Ishavasya Upanishad, which is also known as Ishopanishad, is one of the smallest of the Upanishads. Yet it is one of the most important Upanishads which have been handed down from time immemorial by the sages who have not only gained wisdom through study but have also understood and experienced the Truth, and then given their experiences in the form of the Upanishads. This program starts from A, B, C, D… and helps you to write correct spellings according to the rules of Phonetics. This program is for beginners. You will learn to write names according to phonetic sounds, two letter words, three letter words and four letter words. You must be able to understand Gujarati to learn this program. 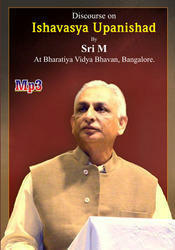 We are the distributors for all types of audio cds. We are leading suppliers of Audio CDs, with the latest audio album releases from Hollywood as well as Bollywood. Apart from this, we also offer a wide range of learning CD ROMS developed by our experts, in the purview of present day knowledge requirements. Garbh Aur Shishu Sanskar By Dr Geetanjali Shah. A peaceful and uplifting journey into the Shiva consciousness, that of Sat, Chit, Ananda- Truth, pure Consciousness, Bliss! It takes you into the magic of Mantras and Stotras, culminating in a SHIVA Japa of 108.